Foo Fighters has become one of the most influential and leading bands in rock today. They are renowned and loved for their fantastic live shows. After Nirvana promptly ended Dave Grohl was totally lost. Only one thing to do. Keep playing music! After that Dave Grohl recorded Foo Fighters debut album on which he played all instruments himself. 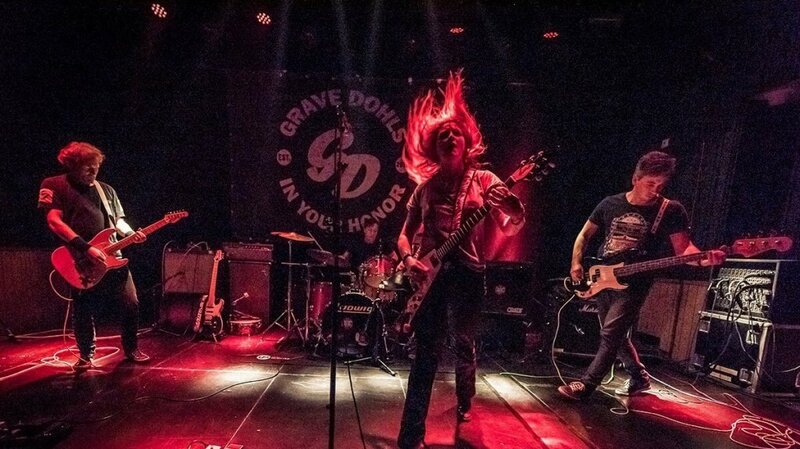 Grave Dohls from Leiden (Netherlands) is the only female fronted Dave Grohl tribute band. ‘Cause no man can fill his shoes! Bonded by their shared love for Foo Fighters they dive into the Foo songs to make them their own. Soon after that their repertoire was broadened with others songs from Dave Grohl’s versatile musical career. During a Grave Dohls’ show you will hear a selection of the best Foo Fighters songs. Over the years Grohl has recorded with other bands like Queens of the Stone Age and Tenacious D. Always circling back to the Foo Fighters. A fine song selection of these projects are included on the setlist as well. Obviously you will also be treated to a couple of Nirvana songs. Grave Dohls has built a strong live reputation. The band knows how to build up a good interaction with the audience. Expect a high energy rock show with great musicality! For more info & bookings contact Rock Exchange.